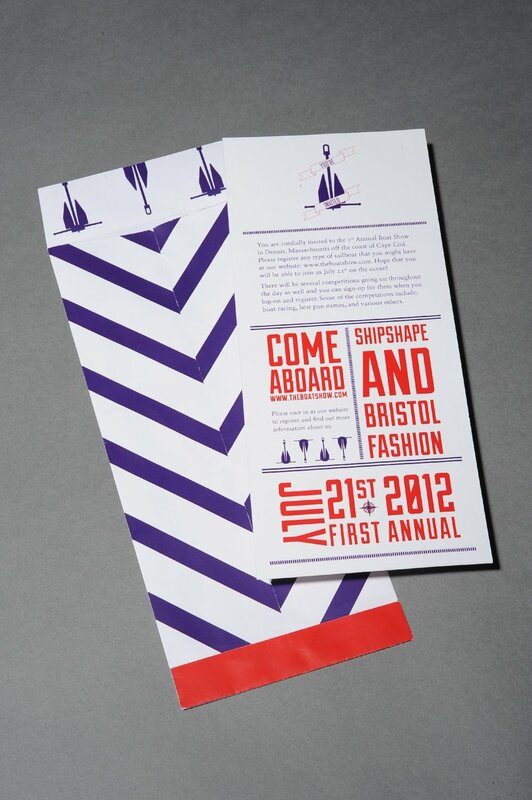 For this project, we were challenged to create a short-term identity design for an event. We also had to create four different applications for the event. Mine included an invitation to the event, an invitation to a formal dinner after, packaging for a book, a book about sailboats, a website, and a poster series. Additionally, I created an envelope for the event invitation and a tip-in for the book.